The perfect centerpiece to your holiday table, Smithfield’s Signature Spiral Sliced Ham is fully cooked, hickory-smoked and easy to prepare. All you need are a few sides and your meal is complete. 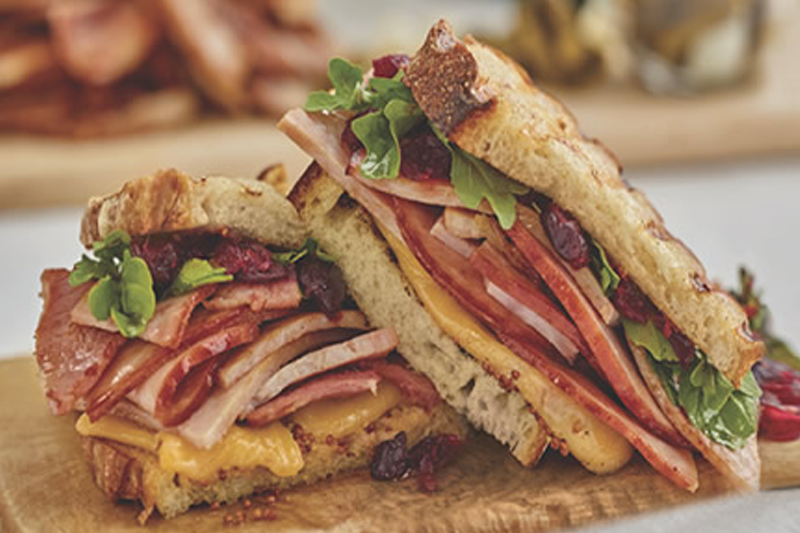 You can use the leftover slices to create a delicious next-day brunch or lunch dish, like this Ham and Cheddar Cranberry Melt. If you’re in need of a simple holiday hors d’oeuvre or entertaining recipe that you can plan ahead, look for convenient meal-helpers like Smithfield’s Sweet & Smoky Pork Roast. Pre-seasoned and perfect for the slow cooker, this roast delivers tender, juicy perfection with minimal prep work. Plus, it can serve as the base for an endless number of festive dishes, like these sweet and savory Barbecue Pull-Apart Sliders.